For the longest time imaginable, links have constituted an unofficial (but important) democracy on the internet, with a link holding the same kind of value in the eyes of search engines as a sort of vote that a certain website held value. When someone put a link to your website on their page, search engines interpreted that as the site owner saying “Here, this website is great” and of course it further mattered who was saying it. If WIRED magazine or Lonelyplanet.com linked your website, it would mean a sort of celebrity endorsement. Therefore, due to being indicators of trust and authority, especially depending on where you were getting the link from, link building became an important factor in the list of search engine ranking factors. This influence was so great that it gave rise to the practice of link building in the SEO world and even took it to a notorious, spammy and almost black hat domain of SEO techniques such as link farming and abuse of anchor text, to name a few. Some SEO professionals and webmasters began to use link building in manipulative and deceptive ways to trick the algorithms into believing that they had more popularity and relevancy than they actually did. And this is when Google decided that something had to be done, unleashing the many updates that have come the way of the SEO community ever since, starting with Panda, gaining dominance with Penguin and the latest being the Penguin 4.0 update. Once Google realized how link building was being abused by some black hat SEOs (and even some white hat SEOs) and how linking had become all about rigging the algorithm in your favor to create a false impression of how popular, important or trusted your site was, it decided that something had to be done to bring things back to a link earning mentality and making SEOs and webmasters focus more on deserving links organically because of content and a diverse and committed user base. Ever since this shift in paradigm and the emergence of penalties for websites that are stepping beyond the guidelines set by search engines, link building has changed fundamentally, in its philosophy and its practices both. This new paradigm, being encouraged by Google and facilitated by new filters in algorithms like the Penguin update, is transforming and already has transformed the world of SEO and how we think of optimizing. White hat can safely said to be the new black hat. It is better to get ahead of the curve and embrace the changes in the online environment. Links constitute an important source of acquiring attention, traction and traffic from search engines, especially if you are building relationships with popular websites and have link partners with authority and trust. And thus, for SEO professionals, link building is an essential task when it comes to pursuing engine ranking and satisfactory traffic. One cannot aim to comprehend the importance of link building unless you learn what it is. So let us see what link building really means. In the future, SEO professionals will probably understand the history of their field as divided into the era before Penguin and the era that began after Penguin update. And the reason behind this claim is already starting to become obvious, with a huge list of websites and even some big SEO companies being penalized heavily by search engines and having their link building strategies turn against them. The game has changed fundamentally and unless you know what it is about now, you are not just risking failure, but being actively punished by search engines, which takes considerable time and effort to recover from. It has become an important concern for all SEO professionals and webmasters who, in the past, had nothing to lose with trying out different sundry techniques to pursue rankings. Now avoiding penalties and setting off the new algorithm filters is top priority for everybody looking to optimize. Remember, it is pretty much all about quality now. SEOs may have been able to pass off low-quality content and websites with clever link building techniques in the past, but that time has come to a pretty definite end, or is coming towards that. In this section, we will be looking at what types of links you will want to build, what types you will want to avoid unless you can pull them off well and what types you need to run away from. These links are essentially what every SEO aspires to and are the consequence of real optimization. Editorial links are basically links that other people have made to your site on their own, out of their own choice, thus the word editorial being used. Google loves these kinds of links and rightly so, as they are well deserved and take time and hard work. After all, you will need to give a blogger, a webmaster or a popular influential website a very good reason as to why they should link to you of their own. This good reason can be (and usually is) a unique piece of content that no one else has and which once shared, will find its way onto other blogs and websites. These are the kind of links that SEOs are usually expected to get for websites. Manual link building involves reaching out to the owners of websites or blog writers and asking to be linked by them. Now, of course, you will need to provide some solid reasoning and it will take some convincing on your part. And it goes without saying that it would be easier to convince people who are connected to your field. Now these really are the outcasts of the link world or are fast becoming so and not without good reason. Although back in their heydays, before the Penguin era, a lot of people did a fair amount of link building using this technique because it was possible to con algorithms into believing content was relevant when it really was not. But beware, Google has smartened up and these sorts of links are not only void of value now, they actually trip up filters in algorithms and you can be heavily penalized by Google. Though they should not be used at all anymore, if you find you cannot do without them, make sure you use locations that are un-moderated whether they are directories, comment sections or forums. Like any other campaign, it all starts with determining the objectives or goals of the campaign. A few words on this and then we will have a look at what link building can look like. Keep in mind that although what you are doing is called link building, you are actually involved in a kind of online marketing, for which planning always starts with objectives or goals. Your objectives should be first of all realistic and relevant. Realistic meaning that they should be achievable in the kind of time frame you have in mind and with the resources you already possess. Relevant means that link building should, preferably, not be a goal in itself but rather lead on to the bigger road to achieving some form of success or progress for your business, organization or individual you are promoting. For example, get links from 15 popular blogs, sounds like a nice goal to have, but will this have an effect on the overall growth of your business or organization? Do you have the content ready to convert this new traffic into users or customers, or to maintain a long-term relationship with these new visitors? Suppose you have 200 new visitors during the first week, but your website had no content in that time and most of the visitors had a quick look and left unimpressed. Did your goal achieve anything in the bigger picture? It actually did some harm, because quite possibly most of those users will not come again even after you improve your content, because they will think, ‘Yeah I remember the site, I was not too pleased’. So setting objectives is a key to starting out right, because if you do not, anything you do after that might be effort, time and resources spent in the wrong direction, a direction which might even do you harm. Lastly, remember that although link building is a part of online marketing, it is different in the sense of the time span of its results, which are not going to be instantaneous as opposed to putting up an online advertisement or a television commercial. This does not mean that your campaign has failed. Neither should you promise instantaneous results for any website that you do perform link building for. Lastly, remember that money is no longer an asset you can offer in link building. Although some might say it never was a preferable one to begin with. Google actively penalizes SEOs, websites and/or individuals involved in buying links. It is good to build a campaign with a diverse linking strategy for optimum results and a more comprehensive link profile. As long as we are discussing types of links, we have to mention so-called social links. These are the links from social networks. Even though they are not as relevant and powerful as links posted on other websites, it is speculated that social links do have some value in determining ranking, as they can indicate the level of quality of a certain page. If a certain page is shared a lot of times on social networks, it means that it provides some kind of value, and this usually indicates high-quality or original content. This is one of the reasons why social media marketing has become an important part of online marketing, and thus it can be related to search engine optimization. 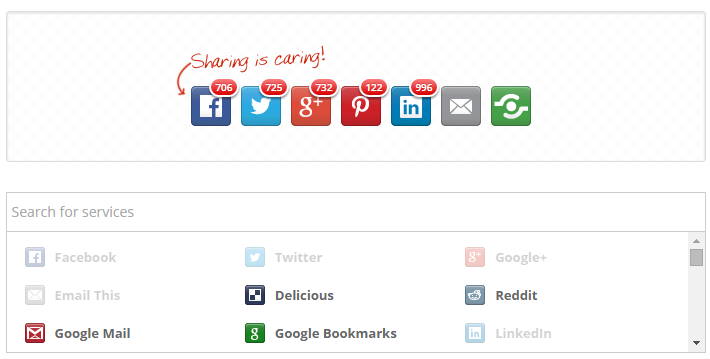 Besides being present on social media and engaging with your followers, another why to encourage social sharing directly from your website is to use social sharing buttons, which can be installed as a plug-in on your website. Now that you are on your way and ready to start your campaign, you will need to think about the type of people you will be contacting to ask for links and attract as link partners. It is best to make sure that whomever you reach out to is someone who is interested in whatever your content is, since reaching out to people randomly leads to a low response rate and even lower ratio of success. Social media websites, like Facebook or LinkedIn, are great places for you to get a feel for how people are spending their time in virtual space, how and what they are sharing with others. Identify patterns in the content being passed on and try to work those elements into hooks, which you place in your own content. Once you feel you have come up with a potential list of people who might be interested in linking to your website, you can search for that list creatively on a search engine. So, for example, if one of the target linkers you have identified is a travel blogger, you search for a list of travel blogs and then use a tool like the Scraper plug-in on Chrome to get all of those URLs copied off the results page in one go and paste them on to a working page on email or a spreadsheet. Use a tool like URL Opener to open all the sites with one go. Look for any contact info on the sites, which could be email address, Twitter or LinkedIn account, Facebook page, etc. 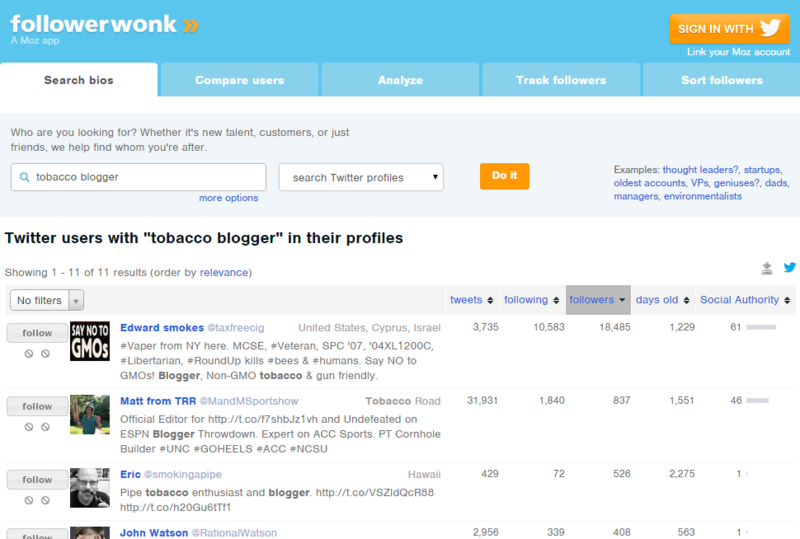 Tools like Followerwonk will allow you to search Twitter bios and accounts for keywords of your choice. So, if your website is about cigars and pipes, offering products and reviews, you could look for keywords like cigar aficionado with blogger or pipe enthusiast with blogger or just tobacco blogger or cigar blogger to get a list of people with Twitter accounts who have blogs related to your own content. You then download these results into a spreadsheet. Next, you will want to find out as much as possible about these potential link partners you have come up with to help you craft a message that is as personalized and relevant as possible. Do not send out emails that seem like automated messages with a template. Think of this as SEO for a person rather than a search engine. You will want each person to like you as much as possible if you are to entertain hopes of having a high success rate with your list. It is also efficient to sort the link targets in the order of priority when doing your outreach. Of course, they will have varying importance and priority in terms of how much Page or Domain Authority they have. Secondly, they might be sorted based on how many followers they have on social media. Lastly, their relevance to your specific field may also be a factor in prioritizing. An advisable minimum Page Authority for your targets would be 1 and for Domain Authority a figure of 25. They can be lower or higher depending how long your list is. Use MozBar tool to determine the Page and Domain Authority of a website. Also be very careful when using generic greetings like ‘Hi Webmaster’ or ‘Dear Blogger’. They might associate your email with automated spam that they are used to receiving. It is also best to avoid using one of these famous, free email addresses from Google or Yahoo! as they are also mostly used by spammers unfortunately. Lastly, remember to follow up with the bloggers and website owners you are targeting as they probably receive a lot of emails, making it difficult to keep track of them all. Do not let negative responses get you down and instead, ask for feedback about your content. A blogger might not like your current content but they might like something in the future. There is not just one way to get links. A large variety of methods exist. You will need to decide on tactics that fit your SEO context. Some fields or industries have tendencies towards more aggressive types of link building and focus on eliminating competition, while others might foster a more communal spirit and build a network of blogs and forums with like-minded developers. Whatever your link building needs may be, we will be looking at link tactics that have wide applicability for all kinds of online contexts. It is preferable to create content that becomes your asset, while keeping your target link partners in mind – People who will find your content (your asset) attractive because it is funny, informative, interesting, thrilling, etc. Most of all, they should find it relevant to their blogs, websites or who and what they stand for as members of the internet community. You then reach out to contact these people and convince them to link to you. Eventually, you will want to come to a place where every link you acquire will not be a link you asked for, but rather be handed links by a prominent members of your community who influence others and help you gain popularity. Although it is a long-term strategy and one which demands top-notch content, it is very much possible. Guest blogging can be defined as the practice of reaching out to other bloggers or website owners to find out if they will publish content that is yours. Although it is technically not illicit and can be a great way to acquire links from trustworthy sources, some SEOs and marketers misused this tactic and employed sub-standard content alongside spammy anchor text, forcing Google to put its foot down and punish the abusers of guest blogging. Sometimes, it is easier to fix things that are broken rather than building new ones to replace them. Broken link building is one practice that follows the above mentioned principle. The World Wide Web is fairly abundant in broken links and a smart SEO professional should see an opportunity where others see ruins of a once great link. Broken link building, now a favorite link building tactic of many, works through identifying broken links on the internet, and aiding troubled webmasters in replacing them with a better link which benefits the new guy. A lot of these broken links are found on websites of great quality and value, so having an opportunity to fix a broken link in your favor is almost synonymous to getting a gift. Conduct outreach and (fingers crossed) enjoy your free link! To polish up your broken link building skills, look for resources online to help you out. You will find many. There is an excellent one by the name of The Broken Link Building Bible. The ego-bait link building tactic is pretty straightforward. It involves using content that pivots on the egos of the people you are seeking to get links from. This content can be material that is either flattering to the webmaster or site owner in question, or hold unique and deep interest for them. For example, you can find a list of sport bloggers and then develop a piece of content centered on contemporary sport blogging and some influential examples. All you need to do is insert some kind of direct or indirect reference to the blogger being targeted into the piece of content and then conduct outreach and watch human psychology do its magic. Develop concept and decide targets -> Create Content -> Conduct Outreach -> Follow upAlthough a good tactic for acquiring links of high value from bloggers with many followers and online power players, which can help your traffic tremendously, it will not result in a large quantum of links. It is good to be conscious of as many metrics as possible that are related to links. Knowledge regarding these metrics can help you when you want to deduce the value of a link, conductan analysis of a link profile and allocate resources for the pursuit of a certain link. A working knowledge of metrics can also be helpful when it comes to analyzing the link profile of a competitor’s website. Domain strength is the cumulative worth of an entire domain rather than that of individual pages. The domain is considered as a whole to analyze how strong it is. When written down, it is either called Domain Authority or the homepage’s Page Authority. Google calculates a measure of its own called Page Rank and it is calculated using the value and quantity of links that lead to a webpage. It measures on a range of 1-10 with 10 being the highest. Even though Page Rank is technically a measure of how strong the homepage is, it can still be used to calculate the value of the website since links usually point to the homepage and from there, juice flows to the other pages of that website. The other unit of domain strength is Domain Authority (DA) and it is maintained by Moz. DA is based on a variety of signals sourced from Moz’s crawler and attempts to calculate how well a website will do on a search engine’s rankings. It measures on a range of 1-100 with 100 being the upper limit. Both these metrics can help in link building by aiding you in selecting strong sites over weaker ones. Similar to DA, Moz has another metric called Page Authority, which measures the strength of a particular page rather than the whole website of which it is a part. The better the Page Authority of a webpage is, the more helpful it is going to be in terms of SEO. You may know what anchor text is by now, but let us have a look at how it functions as a metric. Anchor text provides clues through the keywords used in them, as to what a page that is being linked to might contain as content. Google can then make use of that in algorithms and decide if the page should be ranked higher for that certain keyword. For a long time, having more and more links lead to you with your keyword in the anchor text meant good news for ranking. However, the importance of anchor text as a signal for ranking might be getting lesser and lesser. This is courtesy of all those who optimized anchor texts to death and also due to the rise of Penguin which seeks to actively penalize such SEO behavior. It is best not to create many links, which have too many similarities or identical words in the anchor text. This is especially true for links that might not be of the best quality and do not reflect well on your website. However, you will need to keep in mind that all links are not equal and the quality of links matters as much as the quantity of links. It is possible for one link to bring in more traffic than a five links put together, due to its location and strength. If you are a webmaster, and there is a link that you are very committed to sharing with others, and making sure that people visit, where in your website would you embed it? Somewhere that is the most visible, right? Well, Google has worked out how the positions of links matter, so a link to your website, which is on the footer or in a side bar of the page will not matter as much as a link found in the top or the main body of the page. 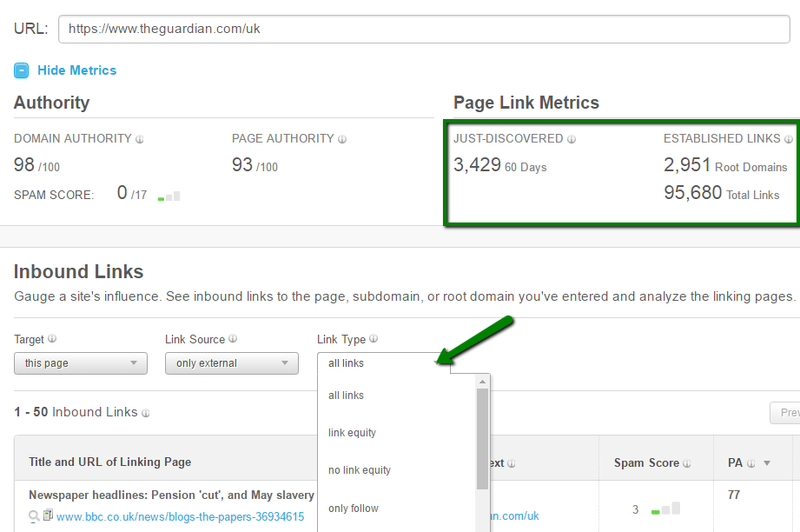 Google also calculates the aggregate of your link position. So if most of your links are always found in the footer of a website, it will not have positive effect on your ranking or site strength, because Google will figure that your website might not be that great for users, because if it was, why would it be linked in the footer? So, it is better to make sure that your links are not predominantly in areas of pages which do not reflect very well on the quality of your website. 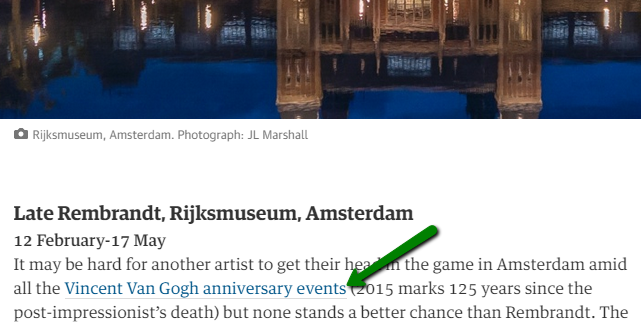 Try to get links which give you an in-content position rather than on the side bar or on the bottom of the page. Like everything else in the world of SEO, link building is also a matter of quality, standards and ethics. You remember how we discussed the difference between black hat SEO and white hat SEO, plus the buffer zone between them sometimes referred to as grey hat SEO. In this part of the chapter, we will be looking at what black hat and white hat techniques have to offer and their downsides. White hat link building comes with very few pitfalls or traps and the odds of running into penalties or loss of traffic are virtually minimal, as they work well with the guidelines set down by search engines like Google or Yahoo!. The advantages of white hat link building are firstly that you do not have to worry about being penalized by search engines, either due to automated filters designed to pick up spammers or being punished manually because you have been noticed. Secondly, white hat link building ensures a more secure future and helps you in the development of assets that sit well with actual users, delivering results that are less likely to vanish one fine morning. However, there are a few disadvantages to playing it nice. White hat tactics focus on the bigger picture and the long run so they are not very good at providing quick fixes or instantaneous results, which you might need sometimes. Since white hat strategies are not as aggressive as their cousins in black, they usually take their sweet time in having a significant impact on traffic generation and profits. Developing creative, unique and thoughtful content that is based on user-empathy. Creating an authentic online community that is engaging and productive, allowing users to interact with the site and with other users. Promotion of one’s website to relevant individuals and blogs through outreach that is personal and heartfelt. Black hat started out as a euphemism for hackers, but in the context of the SEO world, it signifies the use of techniques or practices that lie outside the guidelines and limits set by search engines and can sometimes constitute serious violations that can jeopardize the reputation and functioning of a website or business. The essence of all black hat strategies is to find weak areas in the search engine algorithms or coding of spiders and gain rankings for websites, which are not deserving of them. Although black hat strategies can deliver surprising results in a very short while, without the need of actual content development or earning links and building relationships with other bloggers or website owners, these successes are normally also short lived because search engines are on the constant look out to combat black hat SEO practices. Once caught, it usually results in heavy penalties, loss of traffic, bruising of reputation and trust, and the obvious farewell to rankings gained. Since recovering from penalties and bad blood with the search engines can be a tedious affair, it is best to avoid black hat techniques as any benefits gained are not worth the risks. When you begin an online enterprise, you envision a set-up that has value, growth potential and sustainability, years into the coming future. In order for this to happen, it is crucial to chart out a strategy that delivers long term results, ensures survival and carries the least threats and risks of disaster or failure. This is as true for businesses or organizations off the web as it is for those online. In the context of businesses and interests on the internet, this is not possible without a healthy, sustainable and co-operative relationship with search engines that only white hat strategies can promise. White hat tactics ensure that you do not have to be on the constant alert when it comes to penalties from search engines or having all your efforts wasted overnight and losing valuable traffic and revenue along with it. You will find that most successful businesses cannot risk having their site down for even one day. Secondly, white hat development brings an actual positive contribution to the internet, the field you are involved in and to the lives of your users and their online experience. You cannot expect to have a committed community of customers that you can rely on, not just for purchases or visits but also referring you to others, if you do not have a strategy that is centered on creating a positive user experience. One of the best ways, if not the best way, to do this is promising them content that has utility, authenticity and is enjoyable. First of all, you should be very clear on the matter of link buying being directly and explicitly against Google’s guidelines, and is such a serious violation that Google does not shy away from penalizing mega-businesses like JC Penny or Mercedes. So whether you’re a few months old start-up or a relatively successful and sizeable business, link buying has serious repercussions and will usually result in more harm than any possible good. Google is concerned with websites performing well in search results because they have earned it rather than because they can afford to pay for it. This is a philosophy which actually works in your favor if you are a small business with a relatively low budget for advertising or SEO. These measures are in place to separate the finance and popularity of websites so that the internet remains a democratic place, which relies on content, not money, for flourishing. Google has made an example out of many big businesses, in an effort to discourage black hat strategies, and show that penalties are for everybody and carry no exceptions. A penalty could range from a few days to weeks to an indefinite period during which you must fix the problem and convince Google that you are contrite and that the penalty should be lifted. Some penalties are manually applied by a Google team member because they notice a violation while others might be sanctioned automatically by algorithms because an element on your website has tripped a filter link in the Penguin or Panda updates. Interflora, which is the largest florist company in the UK, was penalized in February 2013 for practices related to black hat linking. The penalty lasted eleven days and led to serious PR and revenue damage to Interflora. Link trading was once a useful practice through which similar websites with relevant content could make link exchanges to improve visibility and rankings. However, like many other once legit practices, this too was overused and abused by a large number of SEOs and links began to be traded, without regard to quality or relevance. This has led to Google taking a firm stance on what they call ‘excessive link exchanging’, which can be penalized too. The concern, again, was that links should be earned by a blogger or webmaster and not be acquired by easy methods such as link exchange sites, where hundreds of links are put up on a website while having no relation or reason to be there. This of course does not mean that Google cannot tell the difference between positive or necessary uses of exchanging links, like bloggers regularly sharing each other’s content and making agreements to support each other in gaining audiences and visibility. Here are a few tricks and tips that will help you out in your link building endeavors. In the process of link building, you will come across situations where you will need to find data in bulk when you are doing manual outreach to potential link partners. Rather than searching using a query like ‘Baking Blogs’, it helps speed things up if you search for ‘list of baking blogs’. This way you will end up with results of ready-made lists curated by others. Although we mentioned this earlier, here is a quick recap. You can use Followerwonk to search the bios of Twitter users for words of your choice. To look for bloggers, you can simply add a word next to ‘blogger’ depending on what kind of blog writer you are looking for. This might sound crazy, but it is possible. And no, that is not a typo. It is supposed to say competition. Here is how you do it. Basically, you create an award or a competition and you intentionally hand it out to your top competition, those who rank well in the keywords you are combating for. No one turns down a free award or publicity for a competition they have won and they will link back to the source. Which will, of course, be a domain that is actually yours and you can 301 direct it to your own website. Now that is using competition to your advantage. This one is quite simple. There are several instances of people mentioning or writing about a blog or website, without giving a link to it. You can use all the major search engines to find these un-linked mentions by typing your URL in the search box, with and without the http. 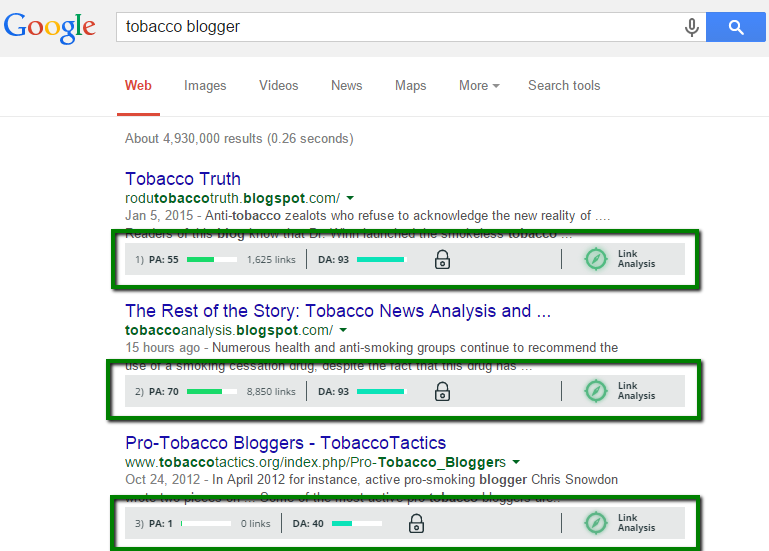 Another tool you can use for this purpose is Google Alerts. One of the best ways for getting links is to find products or services that are new and in good need of some write-ups, and then write an expert review, which is favorable. Chances are you will get an editorial link in no time, as long as your review is impressive and with some necessary detail.